Are you looking for an eye-catching bulletin board that showcases your students' reading accomplishments? 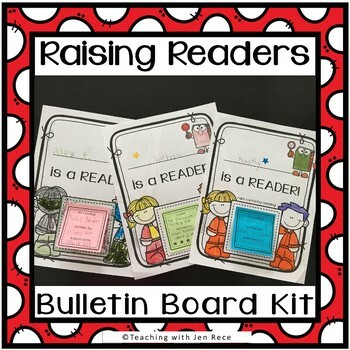 This reading display kit comes with a black checker header (print onto colored paper to save on ink! ), student display sheets and 3 pages of interactive sticky notes! There are lots of options included in this resource, so it can be utilized for preschoolers to 3rd grader alike! 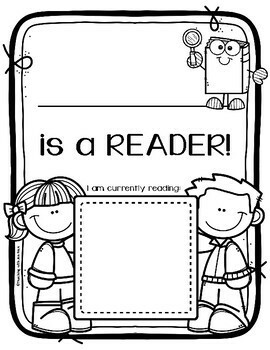 ► Perfect as an extension activity to their book reports or as an activity in itself! ► Comes with a transparent black checkerboard patterned header that reads "Raising Readers" for your display board. Print it onto whatever colored paper you have to save on ink! ► Can also be used without sticky notes - just print, cut apart and tape/glue to their paper! ► Each time my students finish a book, they know to complete a sticky note and place it on their page! ► I reward my students with a star sticker each time they finish a book. They add their stickers to their page for everyone else to see! 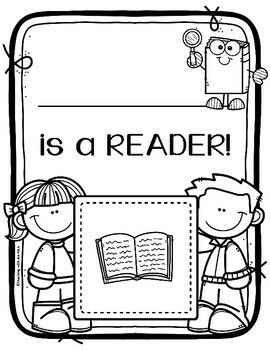 ► Enjoy this classroom bulletin board kit and continue to celebrate the joys of reading!